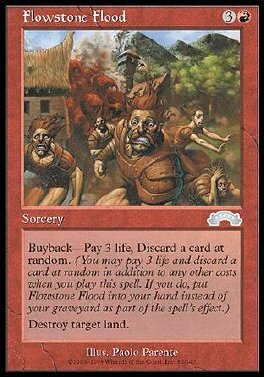 Buyback-Pay 3 life, Discard a card at random (You may pay 3 life and discard a card at random in addition to any other costs as you play this spell. If you do, put this card into your hand as it resolves.) Destroy target land.